Can protein at bedtime help muscle recovery? The way your muscles respond to exercise training can depend largely on the availability of amino acids from protein. Recent research has been looking at overnight protein synthesis and its response to dietary protein before sleep, which is the subject of a recent review by researchers at Maastricht University in the USA. The review’s authors John Trommelen and Luc van Loon discuss their recent work evaluating overnight muscle protein synthesis rates and suggest that taking a greater dose of protein, around 40 grams or more, before sleep could improve gains and recovery after resistance exercise. Overnight sleep is generally the longest time the body goes without food, and it’s also the time when muscle protein synthesis rates are lowest. Scientists have thought that these low rates are due to unavailability of plasma amino acids. But by consuming extra protein before sleep, athletes could assist in avoiding any delay in muscle reconditioning. Previously, studies have suggested that a 20- to 30-gram dose of protein taken at bedtime didn’t appear to increase muscle protein synthesis by any significant degree. This lead to speculation that the digestive system may have trouble properly absorbing protein during sleep. However, in a proof-of-principle study, van Loon’s lab administrated a protein mixture through a nasal feeding tube during overnight sleep and learned that not only does the body properly digest and absorb amino acids from protein, but there’s a clear increase in muscle protein synthesis rates. In a follow-up study, van Loon provided subjects with either 40 grams of pre-sleep protein or a placebo drink immediately prior to sleep. He measured a strong increase (an approximate 22% higher rate) in overnight muscle protein synthesis in the subjects who consumed pre-sleep protein. The research suggests that there also exists a dose-response relationship between pre-sleep protein and muscle protein synthesis overnight. By using the right dose of protein before bed, athletes could also quicken recovery, beyond ingesting protein during the immediate post-exercise “protein window” recovery period. 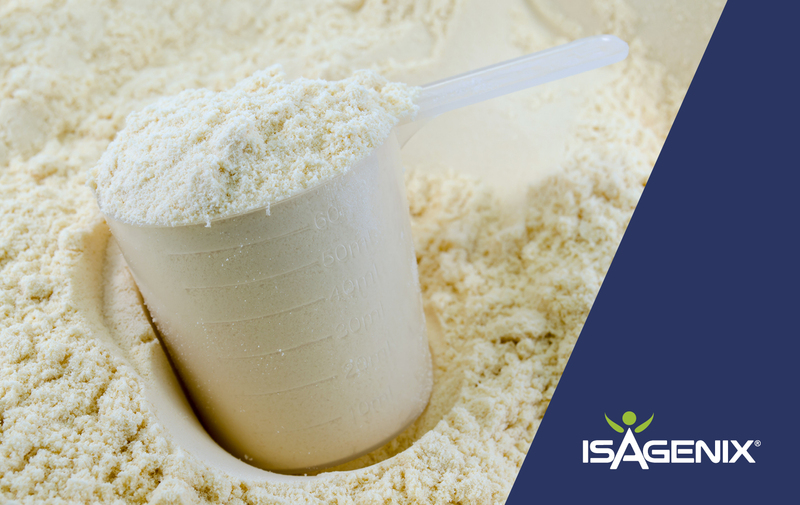 The authors attribute whey protein’s benefits to its more rapid digestion along with its higher content of leucine. Leucine as a branched-chain amino acid acts as a trigger for stimulating muscle protein synthesis. A mixture of rapidly digestible sources of protein including whey with slower digestible sources such as milk casein, cooked eggs, chicken, or steak is thought by the authors as potentially having the greatest benefit for those looking to benefit from pre-sleep protein for muscle recovery. Because muscle protein synthesis is generally low overnight during sleep, despite when 20 grams of protein are consumed, the authors also recommend around 40 grams of dietary protein consumed at night for greatest effect. Trommelen J & van Loon JC. Pre-Sleep Protein Ingestion to Improve the Skeletal Muscle Adaptive Response to Exercise Training. Nutrients 2016, 8(12), 763.